"If it flies, crash it." Profile: Mid-air collisions are Ramjet's specialty. Whether the target is an opponent or not makes little difference - Ramjet will crash him or it just for the pure fun of it. He's built to survive such crashes, which is probably his greatest asset, since hardly anyone in flight would expect a jet fighter to purposely try to collide with him. These one-sided jousts make him a terror without equal in the skies. As he often boasts, "The skies are my castle, and I like to live alone." 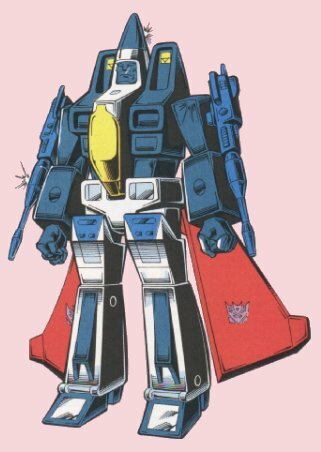 Weaknesses: Ramjet's tendency to aim at neutral targets often results in his creating new enemies, a consequence about which he rarely shows concern. Although very resistant to impact, too many crashes can take their toll on Ramjet's body, particularly his internal mechanical workings.